Veterans choose to refinance home loan mortgages for a variety of reasons. Each veteran has his or her own reason for considering a refinance home mortgage and different circumstances that led to the decision. Below you will find some of the top reasons veterans choose to refinance loans on their home as well as a few pros and cons for doing so. Knowing these details can help veterans make sound decisions when they consider refinancing their homes. Perhaps the most common reason veterans consider refinancing mortgage loan payments is to secure a lower interest rate on the new loan. 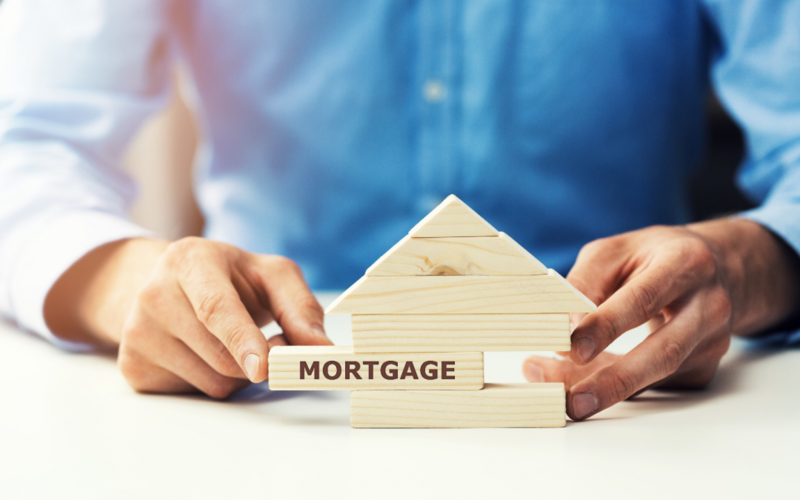 Whether it’s the result of borrowing at a time when interest rates were high, having an adjustable rate mortgage that is beginning to increase, or another reason that made the initial interest rate unpalatable, a home mortgage refinance loan is an excellent tool for reducing interest rates. Reduces the total amount paid for the home. May reduce the term of mortgage payments if veterans have sufficient equity. Makes homes more affordable for veterans in a wide range of financial circumstances. Specific veterans may not need any of these benefits but may enjoy them as a result of their refinance home loan efforts. Some veterans choose to refinance home mortgage loans, so they can reduce their monthly mortgage payments. It’s the process of stretching out the loan for an added amount of time, reducing the interest rates, and rolling the equity they have in their homes, so they have to borrow less money that makes it work. That is, of course, assuming they’re pursuing a streamlined refinancing mortgage loan rather than a non-streamlined or cash out refinance home mortgage. Cash out loans allow homeowners to cash out the equity in their homes, extending the loan even further. This means there is little if any, equity to work with for homeowners in this situation. Reducing monthly payments through the home mortgage refinance process frees up funds to pay down credit card debt and pay off other bills that may weigh veterans and their families down. It also frees up cash for extra spending money at the end of the month. The key is to find the best home loan refinance rates available so there’s more money for veterans and their families to work with. Shop around and compare rates before deciding to refi. As mentioned above, some people are interested in cashing out the equity in their homes. This means interest rates, early payoffs, and other potential benefits of refinance loans are not first and foremost on their minds. That doesn’t mean that refinance mortgage rates aren’t a consideration at all, however. Most veterans are reluctant, rightfully so, to consider a non-streamlined or cash-out refinance mortgage arrangement that places them at a higher interest rate than their initial loans. For veterans considering refinancing their existing mortgages, with a cash-out or non-streamlined mortgage refinance loan, it is still important to shop around for the best home loan refinance rates. While veterans are extending the lengths of their loans to cash out, it doesn’t necessarily mean they have to pay a higher interest rate to do so. Compare the costs and see what works best. High-interest debts can quickly become an albatross for hard-working veterans and their families. Whether considering a cash out loan or simply refinancing to lower interest rates to free up family funds to pay off high-interest debt, eliminating these expenses, one at a time, is financially freeing for the entire family. Most veterans find that the refinance mortgage rates are far more favorable, long-term than the interest rates on credit cards and some short-term loans. Making a mountain of payments month after month is not only time-consuming. Consolidating all these debts into a single payment can free up valuable time and mental energy each month to pursue things that matter more to veterans and their families. Debt consolidation is a huge weight off the shoulders of many veterans making it a worthwhile reason to consider refinancing a mortgage. The longer veterans pay their mortgages, the more they will ultimately pay for their homes. However, veterans may be able to pay less each month by extending the term of their loans. This can help them overcome setbacks that require them to have extra cash each month or accomplish specific financial goals, like special education programs for their children they wouldn’t be able to afford otherwise. Shortening the term of the loan allows veterans to pay off their loans faster without paying penalties for early payoff on their loans. If refinancing the interest rate is the number one reason for refinancing mortgages among veterans, this could easily be the number two reason. Interest rates are on the rise after a long time on the bottom. This upswing means veterans facing an increase in the future might want to seek other options to keep their payments low. That makes it a perfect time to explore their options when it comes to home mortgage refinance loans, interest rate reduction loans, and more. The key is to choose fixed-rate mortgages with favorable terms that won’t penalize them their choice. The transition can save you tens of thousands of dollars, if not more, in interest payments over the life of your loan and is well worth considering for anyone with an adjustable rate mortgage who is facing rising interest rates. Even veterans have good and bad times when it comes to credit. Some veterans may have purchased a home when they were experiencing some of their worst credit moments. Now that their credit has improved, it may be the perfect time to consider refinancing the mortgage loan for more favorable interest rates. This alone can save veterans huge amounts of money over the course of a 30-year mortgage. Top that off with other moves veterans can make to further reduce their interest rates, like buying points at the time of signing, and the savings add up even faster. Improving credit scores is a worthwhile goal for all families and is certainly something worth considering for those unhappy with their existing mortgage interest rates. Even after repairing credit scores for a more favorable position, veterans should proactively shop around to see which lender offers the best combination of interest rates and terms for their refinance loans. Refinancing a mortgage is not a light decision to make. For many veterans, refinancing is essentially going back to square one on the mortgage. The terms may change, but veterans are returned to the starting line with 30 years ahead of them (unless they chose a shorter term loan to pay off their homes faster). These are secondary loans that offer different solutions for homeowners. One offers a specific loan amount and uses the equity in the home as collateral. It’s a separate loan that provides veterans with a lump sum amount of money they pay a fixed principal and interest payment each month. The second is a home equity line of credit or HELOC. Instead of a loan, this operates as a line of credit for a fixed amount, from which veterans borrow against as needed. Veterans interested in home improvement projects often find this to be an excellent choice because it makes the funds available to them as they need them. Like the non-streamlined mortgage loan, the HELOC and home equity loan do not replace limits on how the money is spent. The money, once borrowed, belongs to the veteran to spend how he or she pleases. Update homes for an injured or disabled loved one. Pay off the mortgage more quickly. Reduce other debts so more attention can be made to the mortgage loan. Reduce money-related stress within the home. Free up more funds each month for better mental and physical wellbeing. Pay less money, overall, for the home. The ability to use the benefit again and again (unlike FHA loan programs that can only be used once). Never need to buy private mortgage insurance. No need to make a down payment on the loan. Lower loan rates than private loans. Allows borrowers to buy, refinance, or take advantage of the equity in their homes. Wider eligibility for veterans. Even veterans who have had credit mishaps along the way resulting in foreclosures, bankruptcies, and credit score reductions may qualify for a VA home loan. Funding fees may be paid upfront, wrapped into the mortgage payments, or, in some cases, waived completely. This offers veterans of all stripes a great deal of flexibility when it comes to refinancing their mortgages. Whether veterans take advantage of a VA loan for their home refinance loan or another funding source to secure the funds they need to refinance their homes, the important thing is for them to weight the costs and potential consequences of refinancing their homes before they decide to buy. If it looks favorable for them, there’s no reason to delay other than waiting to find the lender that offers the best rates. There will always be pros and cons. Veterans who go on with that understanding are better able to choose the home refinance mortgage loans that will best meet their short and long-term financial goals. Choose wisely to get the greatest benefits from your refinance venture.